There's nothing quite like biting into the creamy center of a rich, gourmet dark chocolate truffle. Made in our Southern Oregon candy kitchen using a proprietary blend of chocolate, these exquisite treats are crafted using a recipe we've been perfecting for over 30 years. 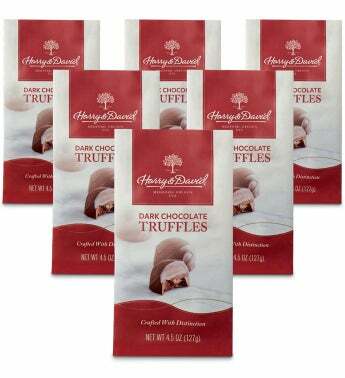 Includes six bags of premium dark chocolate truffles, perfect for gifting, sharing, or enjoying all season long.